This beautiful Galina Signature Ivory wedding dress is perfect for a bride who is looking for a fitted dress with a flare to the bottom. The gown has been customized to add the off the shoulder lace straps. The gown is new and also comes with a floor-length lace cathedral veil. The dress was bought as size 12P and altered to fit a size 10P bride. Look no further as this might be the ONE! 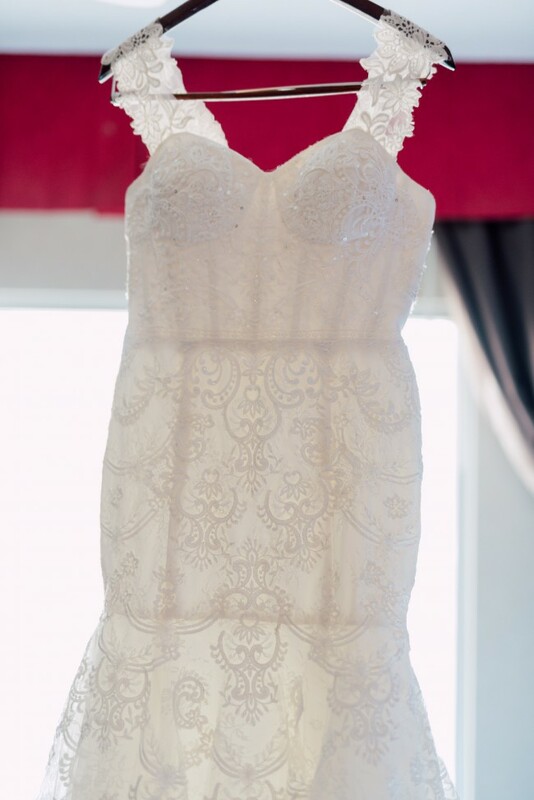 The dress was bought as size 12P and altered at the hip and waist to fit a size 10P bride. Once you send a message, Rodrick can invite you to purchase the dress.